Sometimes water, fire extinguishers and axes just don't cut it when it comes to effective fire fighting. Sometimes you have to bring in the big guns. 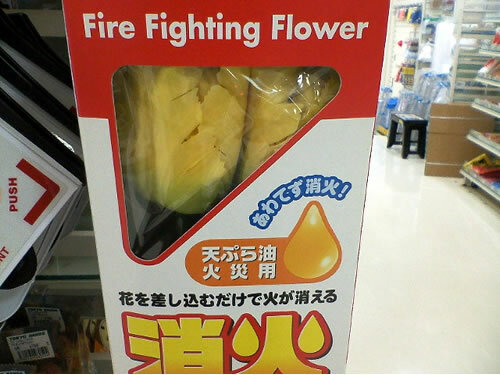 Sometimes... your only recourse is the 'Fire Fighting Flower'! 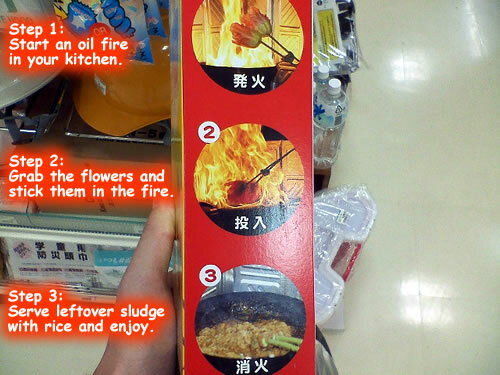 Always on the cutting edge of new technology, Japan has developed a totally new way to fight fires. Haven't bought yours yet? Believe me, this is going to be the next big 'thing' in fire fighting circles. The package is extremely user friendly. On the side here they use real life pictures to show you in graphic detail exactly how to use the flowers. I've included an English guide on the left side free of charge. If that wasn't clear enough, the back panel includes a little cartoon (this is Japan after all) with a more detailed description. 1. 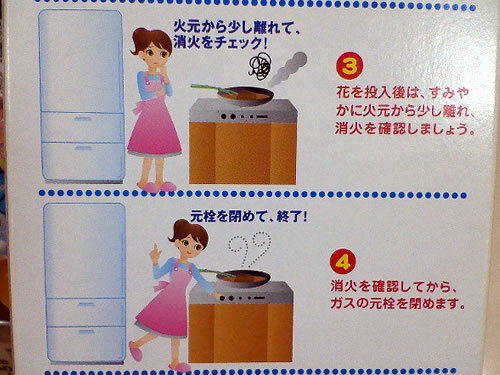 A young mother forgets about that pan of hot oil she was heating on the stove as she was busy watching daytime dramas. She walks into the kitchen an hour later (holding the flowers naturally) and notices that she's minutes away from burning down her building. 2. 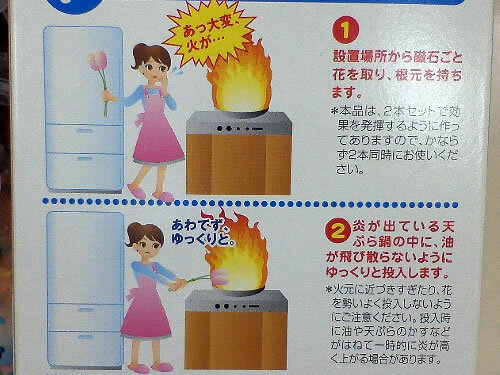 With a determined gesture, she sticks the flowers into the fire. Take that fire!! 3. The fire is out and the battle is won. Or is it? Better wait a minute to make sure those flames have settled, the pan is cooled and the flowers have done their business. 4. 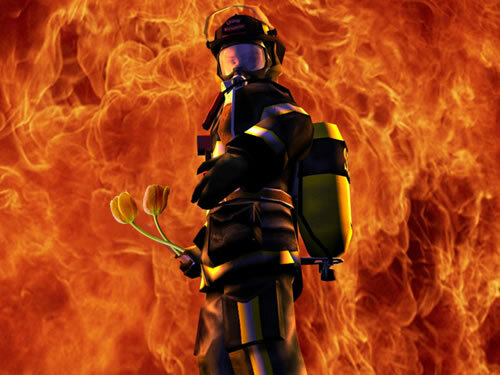 If getting the chance to use your flowers successfully in a real life fire isn't a reason to smile, I don't know what is! Don't worry about the fact that you've ruined dinner and a good pan, scorched the ceiling, filled your apartment with smoke and contributed to global warming. So how effective are they? Well I could've bought some, started a fire in my apartment and given them a hands on test, but this picture convinced me of their competence. If firemen are already using them, then I think that's a pretty good recommendation.